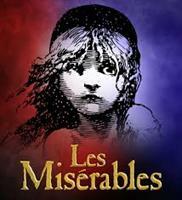 Our Day Tour to Fayetteville to the Walton Arts Center to see the classic Broadway Show "Les Miserables". This is a timeless musical about love, courage and hope that is now on tour across North America. Trip cost includes transportation and show.